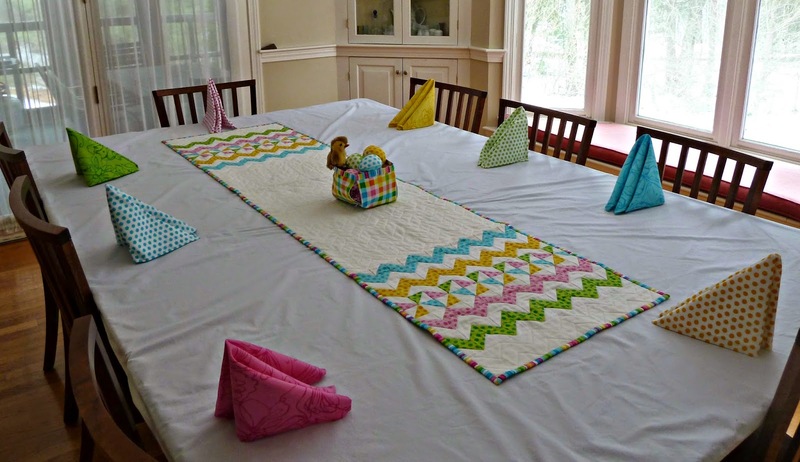 I was getting out my Easter decorations and remembered I still only had 4 matching napkins. 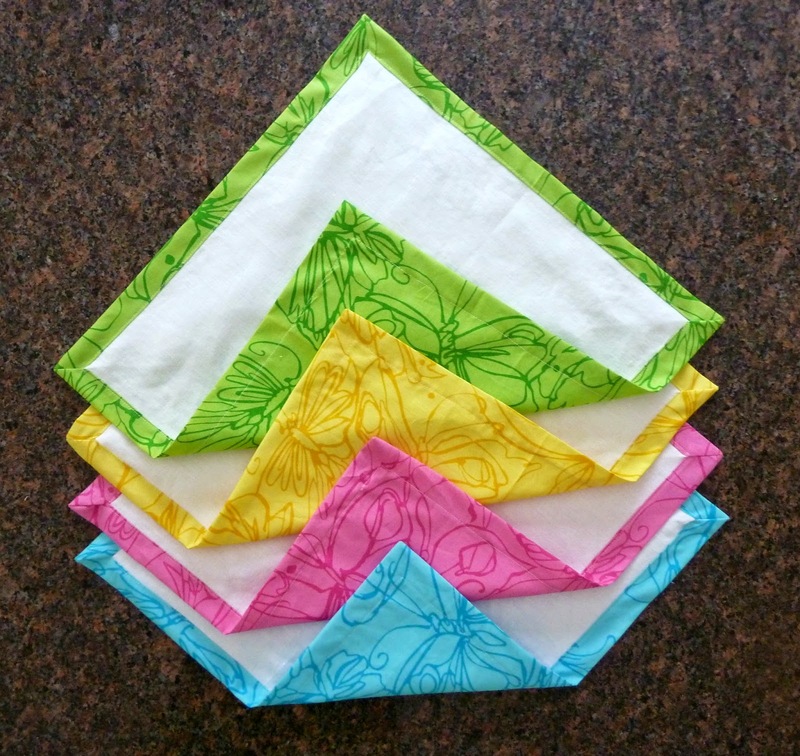 I'd even cut enough linen for 4 more and stored it with the rest of this Calypso bundle so it was really a no brainer to whip up another set in time for this year's Easter celebration. 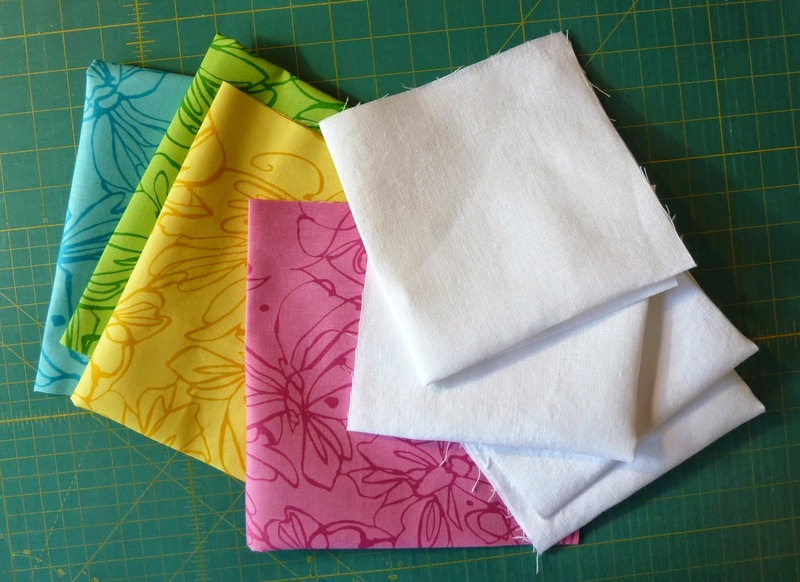 I used my Self Binding Napkin Tutorial to make these and in the time it took me to watch Silver Linings Playbook I was done. OMW!!!! What a darling quilt runner. And the binding is so appropriate. Nice finish. Beautiful! Very Spring and Easter!